Don't let the OG shape and stance of the Nike Air Force 1 Utility fool you—this is no ordinary Air Force 1. With exaggerated and extended features, this is an audacious adaptation of an icon. 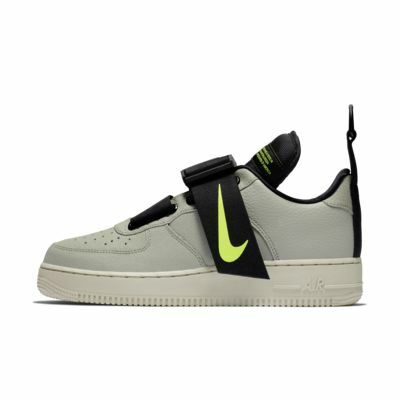 Don&apos;t let the OG shape and stance of the Nike Air Force 1 Utility fool you—this is no ordinary Air Force 1. With exaggerated and extended features, this is an audacious adaptation of an icon. A Nike Air unit provides lightweight cushioning for all-day comfort. A buckle closure slides open for quick changes, and a chunky strap secures your fit. The heel pull tab features a large D-ring that helps you get in and out. 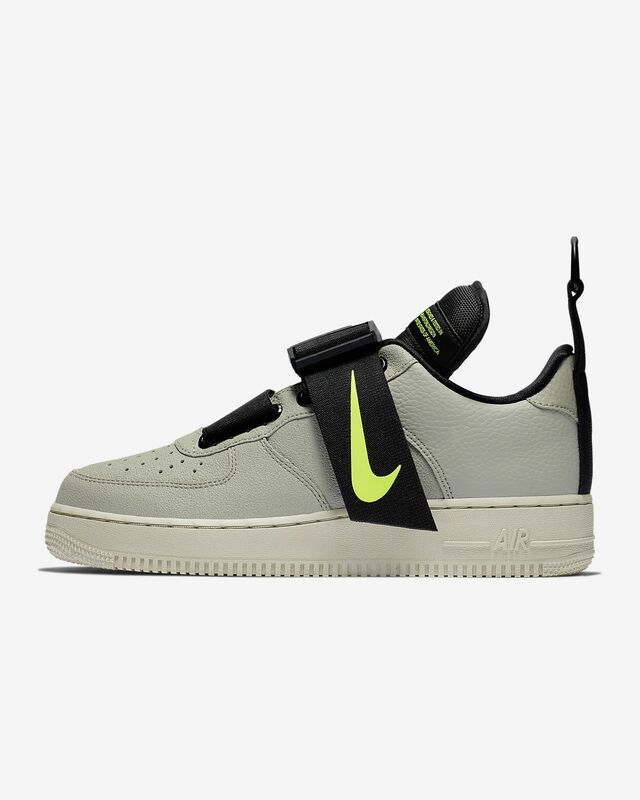 Bold branding on the tongue and strap makes for a playful take on the AF1. The exaggerated, extended tongue plays with proportions. Very comfortable shoe. Looks just like it looks online and very stylish.